Chandamama lo Amrutham audio on 13th? 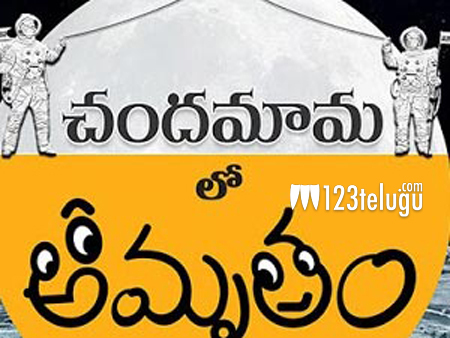 A film based on the popular TV serial ‘Amrutham’ is getting ready and it is ‘Chandamama lo Amrutham’. Directed by Gunnam Gangaraju, this is said to be India’s first film that features scenes based on the Moon. The producer is reportedly planning to release the audio album of this film on April 13th in Hyderabad. The date is yet to be formally confirmed. Gunnam Gangaraju’s close friend, director Rajamouli, will attend the event. Music for the film has been composed by Sri. Srinivas Avasarala, Vasu, Harish, Dhanya and others have played the lead roles in this movie. The production unit is promoting the film in a unique and interesting way. The film might release in the month of May.